At the week-end I went to a garden party which had a great second-hand book stall. I managed to pick up a few classic crime books, most of them authors I’ve never heard of. Below is a picture of my haul. 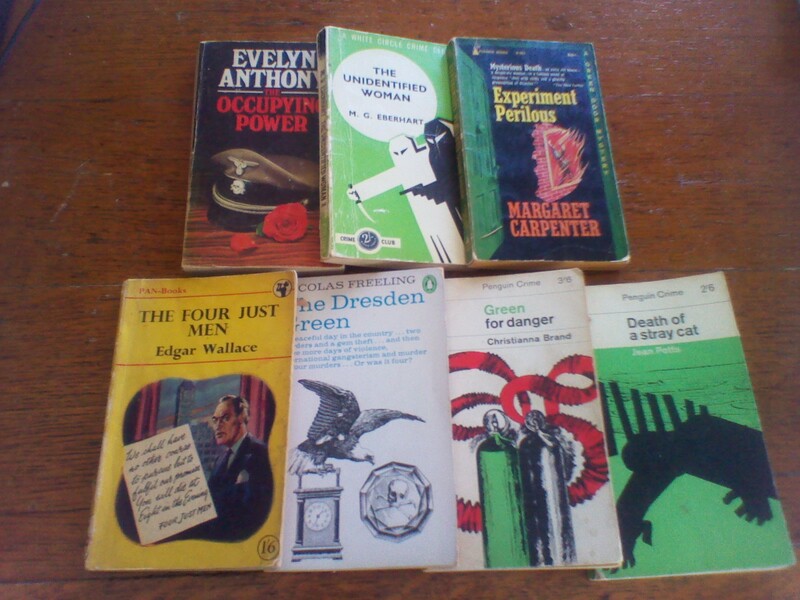 Writers are Evelyn Anthony (who I do know), M G Eberhard, Nicolas Freeling, Christianna Brand, Jean Potts, Margaret Carpenter and Edgar Wallace (who I think I should recognise but don’t). I have to agree with Rich. Green for Danger is a great book. I enjoyed Nicholas Freeling’s Van Der Walk books, & later others, one leading on from that series and another one about a prosecutor. I read a few Evelyn Anthonys once but the “romantic international thriller” genre is not for me. Reading “Siren of the Waters” by Michael Genelin a couple of years ago reminded me of her, though. I don’t think I’ve read the others….look forward t reading what you make of them. I love it when you find old classic crime books you’ve never heard of. That is mainly how I have found many of my favourite authors like Margaret Millar and others. I have all the Jean Potts which are very good. They are more suspense than detective and very well written. Her other, ‘The Man With the Cane’ is also very good. Wallace wrote pot boilers and they do divide people. I’ll pick one up now and again and they pass the time. ‘The Four Just Men’ is good and I would say one of his most well-known. Evelyn Anthony I read about 20 years ago and never repeated. Too much like romantic adventure for me. ‘Green for Danger’ is a classic anyway. Nicholas Freeling is well known although I haven’t read the one you bought. My philosophy – read the one you’ve never heard of. 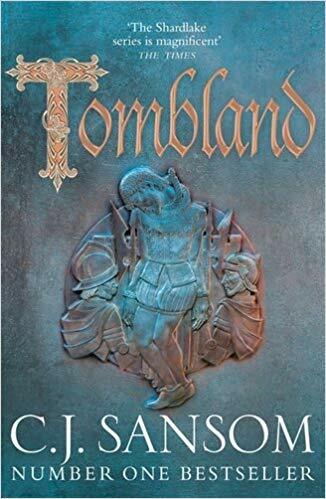 I’ve never heard of Margaret Carpenter and I like the 1960’s cover so I’d start with that one. Then you can let us know what you thought! Sarah – Oh, you did get some lovely books!! May I recommend either Green For Danger or the Nicolas Freeling? The Van der Valk series is a good one and Green For Danger is excellent too in my opinion. I seem to be the voice of dissent here (as usual). I like Edgar Wallace. You’ll understand when your read it! I’ve never heard of these authors, but this sounds like a treasure trove. Await your comments and reviews. Thanks all for the recommendations. ‘Green for Danger’ seems to be the book most highly recommended and I will try that one first. I’d forgotten Nicolas Freeling wrote the Van der Valk series. Thanks for those who reminded me of this.